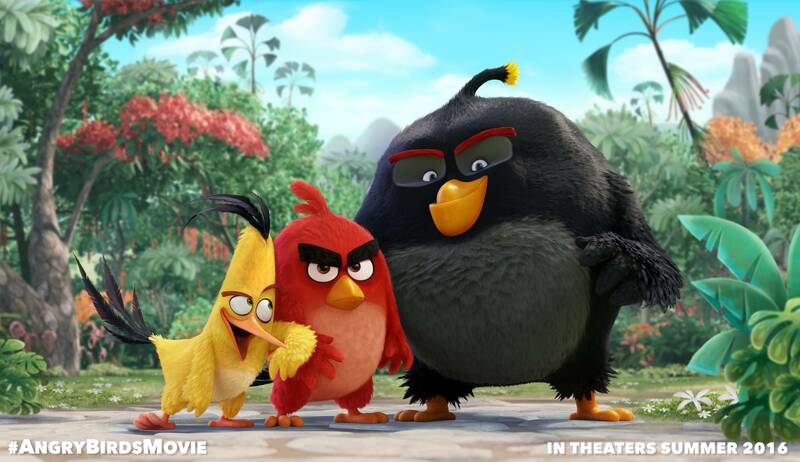 The Angry Birds movie, which is being directed by Clay Kaytis and Fergal Reilly, is going to hit the cinemas around the world in summer 2016. For a long time, lots of people were wondering whose voices the cartoon’s characters will get. And finally, yesterday, the list of film’s actors was revealed. By the way, many of them are very popular celebrities. So, the roles of three main heroes - Red, Chuck and Bomb, - about whom the forthcoming Angry Birds movie will tell us, go to Jason Sudeikis (We’re the Millers, Horrible Bosses), Josh Gad (Jobs, Frozen) and Danny McBride (Despicable Me, Up in the Air) respectively. An actress and a comedian - Maya Rudolph (Bridesmaids) - will voice Matilda the Mother Hen, and Peter Dinklage, famous for his work in the Game of Thrones TV series as Tyrion Lannister, is appointed to the role of Mighty Eagle. It’s also known that one of the pigs will speak the voice of the popular American actor - Bill Hader (Superbad, Night at the Museum: Battle of the Smithsonian). Besides that, such actors as Romeo Santos, Keegan-Michael Key, Danielle Brooks, Hannibal Buress, Kate McKinnon, Ike Barinholtz, Cristela Alonzo, Jillian Bell have got the roles of the secondary characters in the Angry Birds movie. "I'm extremely proud of this cast. Not only do we have Jason, Josh, Danny, Bill, Maya and Peter bringing these characters to life, but they're surrounded by an all-star ensemble of emerging comedic talent — these are some of the funniest people out there today, and we're thrilled to have them all on board", - John Cohen - the film’s producer - has stated. Do you like cartoons? Are you waiting for the Angry Birds movie?